SUEK is the leading coal producer in Russia and one of the largest coal companies in the world. 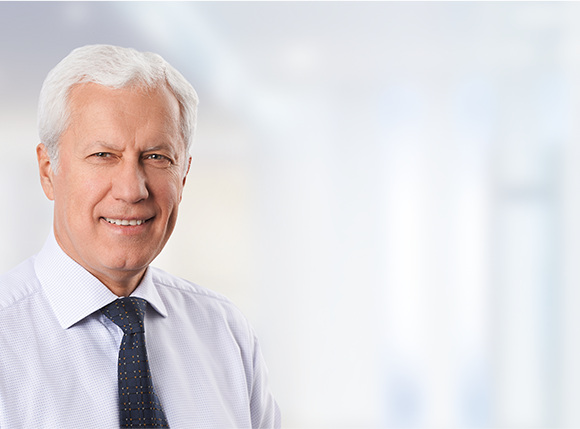 Our business is deeply rooted in Russia, with our operations spreading from east to west, providing employment for almost 33,500 people, and contributing to the social and economic development of our country. Meanwhile, our global trading and distribution network enables us to deliver our products to customers in Asia and Europe. 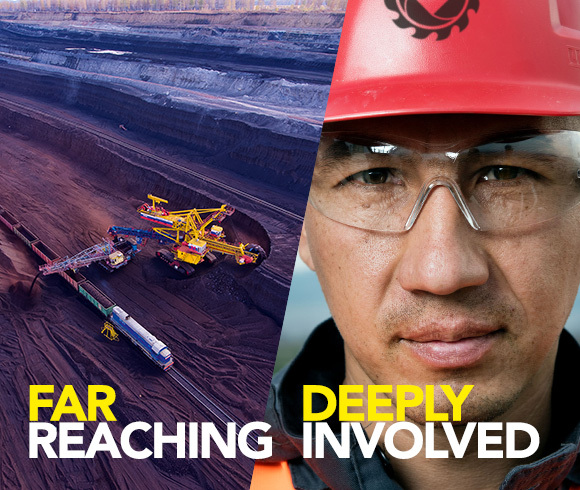 We are much more than just coal production and sales. We are not only far reaching in the geographical spread of our operations and the numbers of people we employ, but also deeply involved in the social and economic development of our nation. With an extensive sales network, we seek to be the supplier of choice for customers in Russia and abroad. We also aim to conduct our business sustainably, prioritising health and safety and minimising our environmental impact. Our facilities are located across a range of geographical zones, while our engagement with the local communities where we operate means we influence and enhance the lives of many people. 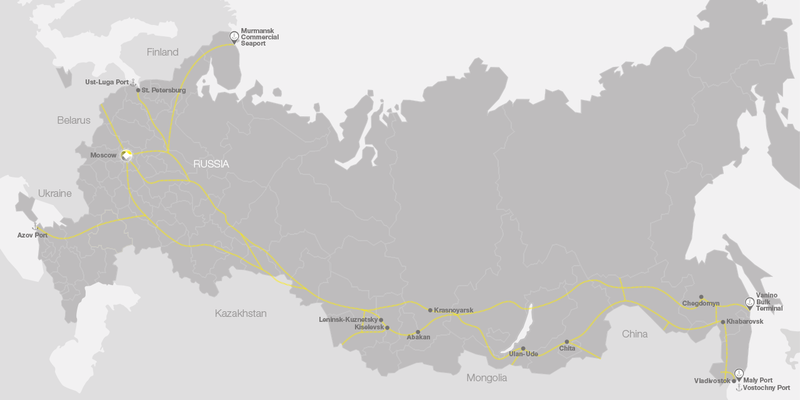 The geographic spread of our operations and access to key transport infrastructure enable us to supply coal effectively to Russian, Western and Eastern markets. Our 2016 Annual Report demonstrates our goal to prioritise and focus the Report on ‘material matters’– those aspects of our business and its impacts which are currently most relevant to the company’s value creation as well as to key stakeholders. We believe that this development of our reporting practice reflects our commitment to sustainable development in all areas of our performance – financial, operational, social and environmental – and to value creation for all stakeholders. From Murmansk in the west to Khabarovsk in the east, SUEK operates effectively in all climates and conditions. In heat, wind, ice and snow. Across eight Russian regions and seven time zones. Through forest, tundra and permafrost. 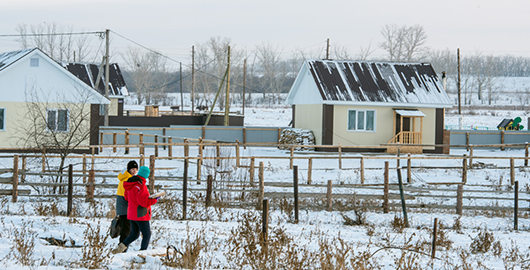 From urban centres to remote areas, SUEK’s operations are interwoven with the Russian landscape, people and economy, helping to sustain social wellbeing and development. 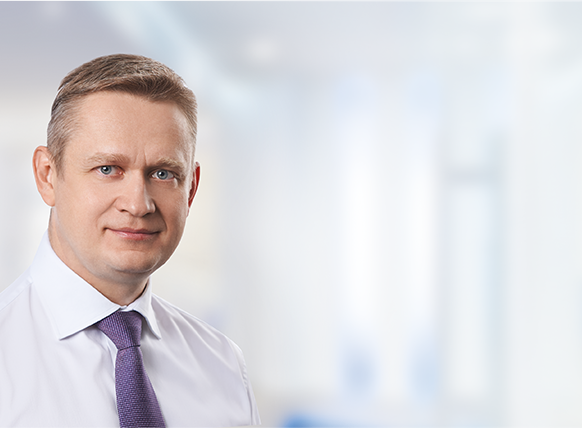 As one of the largest employers in the Russian coal industry, we provide jobs for almost 33,500 people across different regions, from miners and engineers to lab specialists and machine operators. We also invest in remote areas and provide opportunities for external contractors in local industries. Wherever we operate, SUEK aims to bring stability and development. As one of Russia’s largest payers of tax, we directly support regional budgets while helping to develop social and economic infrastructure. SUEK’s operations touch the lives of people of every age, nationality and background. People from every walk of life. From west to east, our business embraces and reflects the social diversity of Russia. SUEK cares deeply about the local communities where it operates. We support schools and programmes for children, as well as care initiatives for the elderly. And we provide internships for young people and students, investing in the future of our company and our country. Wherever SUEK operates, we take care to minimise our impact on the local environments with which we interact. Looking to balance commercial interests with ecological considerations, we aim to tread responsibly as we move forward. Through efficiency measures such as methane utilisation, coal washing, dust control, land reclamation and other measures we take responsibility for our actions and try to reduce our environmental footprint. We also seek to meet the demand for innovative technologies for the production of cleaner, high-grade coal. SUEK is about so much more than just coal production and sales. We are not only far reaching in the geographical spread of our operations and the numbers of people we employ, but also deeply involved in the social and economic development of our nation. With our core strategic focus on cost efficiency, product quality improvement, environmental safety and network expansion, we can look ahead with confidence, and with a deep conviction in our capabilities and self-reliance. Our effective integrated business model allows SUEK to ensure sustainable results in all market conditions. In 2016, despite continued challenging market environment, we achieved a record operational performance and maintained financial stability. 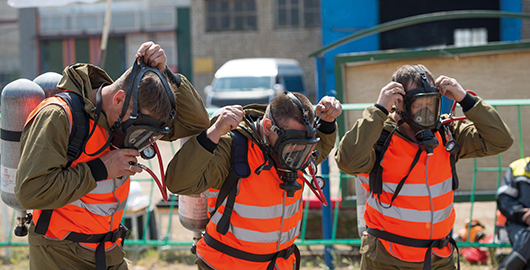 Constantly committed to the responsible development of our business, we continued to pay special attention to health and safety and environmental protection. Providing a safe working environment for our people and minimising the risks related to coal production are key priorities within SUEK’s operations. Our people are our most important asset, and we strive to create the most favourable conditions for them. We continually work to improve health and safety, promote personal and professional development, and provide social support to all employees and their families. Environmental considerations and commitments underpin all our managerial and production decisions. We are aware of the environmental impact of our operations and the environmental risks inherent in coal mining, washing and shipment. We are also aware of our responsibility to help protect and preserve the environment for present and future generations. Social activities are an integral part of SUEK’s strategy. We implement various programmes focused on the development of the regions where we operate, with a view to improving the living standards of our employees, their families and local communities, and enabling open dialogue with all stakeholders. We coordinate our actions with regional governments and engage with non-profit organisations and the business community. local communities where we operate means we influence and enhance the lives of many people. to supply coal effectively to Russian, Western and Eastern markets. Our cost-efficient mining activities deliver a sustainable supply of high-quality thermal coal. Using open-pit and underground mines, we produce brown and hard coal. By investing in regular upgrades of our production units, SUEK is able to maintain a leading position within its sector. 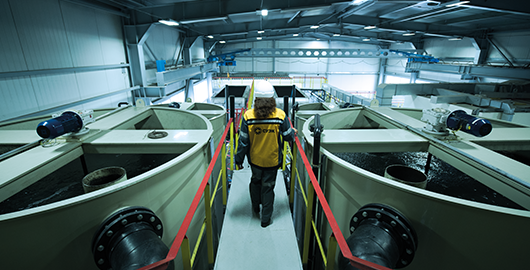 Washing plants and processing facilities adjacent to our mines and open pits improve the quality of our coal. Washing reduces ash, increases heat content and ultimately improves our coal’s market value. The coal is also crushed and screened so that it can precisely meet customers’ size specifications without affecting quality. The favourable location of our assets, with good access to key transport infrastructure, enables SUEK to reliably and cost-efficiently supply the major markets of Russia, Europe and Asia-Pacific. 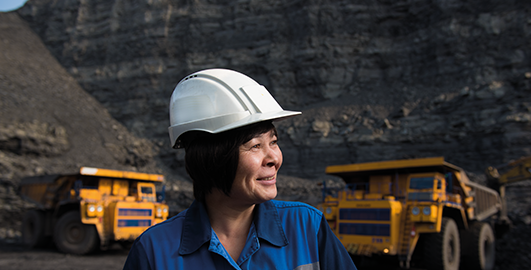 SUEK’s extensive sales network ensures reliable coal supplies to customers in 38 countries. Our established offices in all key markets help mitigate business risks and allow us to sell products in local currency. More than 80% of our international sales are direct to end users.